STIHL files, filing gauges and test gauges ensure precision when it comes to sharpening saw chains. 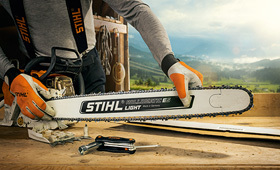 We have special tools for virtually every STIHL chain type. Please note that practical complete sets are also available.